CFDA-winning fashion designer Zac Posen gives Larry a fashion education, discussing his evolution in the industry, the designer he’d most like to trade places with, and why he says he’s the toughest ‘Project Runway’ judge. Plus, Zac on why we seldom see one-time muse Natalie Portman in his designs anymore. You may know him as a judge on the hit reality series 'Project Runway', but do you know how he got his start, who his fashion heroes are, or why he has a secret love of farming? 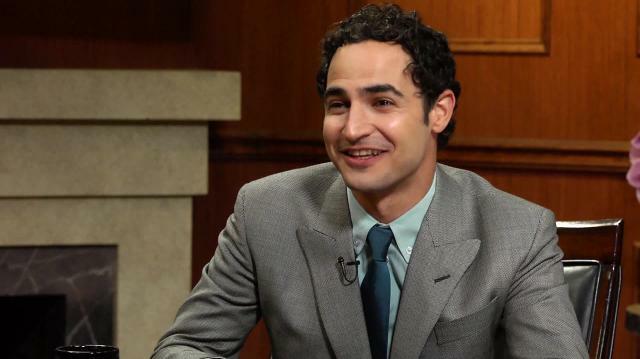 Iconic New York fashion designer Zac Posen sits down with Larry King in this interview and gives a behind-the-scenes look at his past, present, and future projects. Posen explains his rise to fame, how the biggest risk of his career almost backfired, and whether he really thinks he is the toughest judge on 'Project Runway.' Plus, he reveals his favorite Red Carpet memory and drops hints about his upcoming redesign of Delta Airlines' employee uniforms. And what if life were different? Zac tells Larry what he might do if he weren't a designer, if he didn't live in New York City, or if he could switch places with another fashion designer for a day. The designer says 'Project Runway' is successful because "it's about the creative process," and Posen gets into the details of his own creative process, from how he draws inspiration from nature to how he chooses his fabrics to how he designs dresses for all types of women. And commenting on the current fashion landscape, he gives his opinion on the rise of fashion bloggers and offers tips for women hoping to look good without breaking the bank.